Sendero has been building custom homes in Austin since 1994, committed to exceeding their customers' expectations and provide the best quality product of any builder in the market. Owners Cosmo Palmieri and Lance Haley have deep roots in the area and many years of experience in construction, home design and interior design. Their Sendero team orchestrates the thousands of details it takes to build a home, from the production managers to the craftsmen and our partners of excellence, many who have been with the company for more than 10 years, to the customer service experts. SkyWest is a local owned and operated custom home builder and remdeling contractor that offers custom home building and a full range of remodeling services in Austin and surrounding areas. SkyWest Builders is proud of our exceptional track record and decades of homebuilding experience, serving the Austin area with unmatched craftsmanship, intelligence, expertise, and skill. SkyWest has over 38 years in the Construction industry, with 21 years as Builders and General Contractors and 25 years of classical training in Master Carpentry, earning expertise in framing, trim, cabinets and stairs. SkyWest is nationally recognized as a leader in the building industry, carrying certifications from the National Association of the Remodeling Industry (NARI) and the National Association of Home Builders (NAHB), including recognition as a Certified Remodeler (CR), Certified Aging in Place (CAPS) and Certified Green Professional (CGP) for Climate Zone 2 - Austin. As a green home builder, SkyWest creates high quality, efficient remodel, additions, and home projects throughout the Austin area, serving Westlake, Travis Heights, Northwest Hills, Rosedale, Clarksville, Barton Creek, Davenport Ranch, Wimberley, Dripping Springs, and beyond. If you're planning to build the custom home of your dreams or remodel your current home to meet your expectations, give us a call. We strive for a green building rating for every project with the Austin Energy Green Building Program. Whether a new custom home or a remodeling project, we will achieve upgraded energy efficiency and good indoor air quality within your budget. It just feels right to do it that way. As a premier company specializing in remodels, custom decks, and new construction, we are dedicated to providing exceptional customer service while delivering only the highest quality workmanship. For over 35 years, we've excelled in commercial and residential concrete, full-service construction, and remodeling, allowing us to provide a level of expertise that is extended to all of our clients. Deville Custom Homes is a family owned construction company located in Austin Texas! We specialize in Custom Homes, Remodels and Commercial Construction all around Austin and the surrounding areas. Through our intelligently designed build process we transform properties, land, and commerical buildings into functional spaces and custom masterpieces! We pride ourselves on sustainability, using only the highest quality products and employing only the best contractors. From speculation builds to luxury builds, Deville Custom Homes has set the bar high for craftsmanship. At Premier West Homes, we pride ourselves on our integrity. Premier West Homes has been in business for over 23 years, but our experience as home builders exceeds 32 years. Mint Builders, LLC is a refreshingly different design+build company that proudly serves the greater Austin, TX area with new construction, remodeling, and renovation services. We pride ourselves on understanding the detail that goes into delivering a high quality project from a planning, design, and build perspective. We also know how to ensure the highest level of customer satisfaction and enjoyment through the process by addressing the most common pain points with superior style, service, communication, craftsmanship, and overall customer satisfaction. Mint Builders, LLC looks forward to assisting you with your project needs! Square Construction has created and updated hundreds of unique homes for individuals, couples, families and businesses. Square Construction was founded on a passion to help you define your vision and collaborate with you at each step, from design to construction, to create the home of your dreams. Unparalleled in support, Brad and his team of professionals provide weekly 1:1 sessions through the entire building process to develop relationship and clear ingenuity you can trust and depend on. Although he started in aviation as an aircraft builder and mechanic, Brad’s innate interest in precise, mechanical processes started his journey and foundation for transitioning into custom construction and remodeling. The switch from airplanes to home building began in the early 1990’s within the Austin area. Brad quickly developed keen sense of project vision and development, thus securing continued mutual respect and admiration from contractors, clients and builders alike. Brad thrives on keeping projects running on time, and to the specifications and dreams of its homeowners. His smile and excitement can clearly be seen on every construction site; he is most happy nurturing relationships, face-to-face, with clients. Award winning Building Contractor servicing Austin and the surrounding Hill Country. Services provided: Consulting, Remodeling, Design Build, Universal Design, Market Ready and New Home construction. Checklist Remodeling provides general contracting and remodeling needs with great attention to detail and quality. We are committed to helping you achieve your dream home. Watermark & Company is an award-winning custom Design | Renovate Builder that delivers remarkable craftsmanship, efficient project management and a second to none customer experience while respecting the environment by adhering to green building principles. Whether you already have an architect or designer or need us to provide those services, we look forward to the opportunity to serve as your remodeling contractor as you transform your space. Hays County's Award Winning Home Builder | Best of Houzz! At FineLine Custom Homes, the customer is free to customize their floor plan in order to make their home as unique as their lifestyle. We believe in getting the best quality and value for your money. GnM Lohr Homes, so called Lohr Homes, is a full service Austin custom home and spec builder in Austin Texas since 2002, building quality homes for the last 15 years in Austin’s most desirable central areas. Craftsmanship and attention to detail is part of our integral creative process – Creativity is the name of our game. There are many Austin builders, but we stand out in our approach and in the quality of our work. Building green homes in Austin is one or our main focal points. As builders in Austin we want to see more green buildings. We also incorporate green concepts into our luxury custom homes and our unique and innovative interior design ideas. Gil Lohr– is in charge of everyday construction practices. His international exposure to construction abroad has allowed him to be an outside of the box thinker with immediate solutions to arising issues. While attending his Bachelor’s degree he redesigned, renovated and remodeled a few projects in various cosmopolitan cities. Gil’s building expertise continued to evolve with the same passion to new construction and green building in Austin, Texas. Gil holds a masters (M.B.A) degree with major in finance. His financial skills are an asset in purchasing and assessing construction costs to his clients. Michelle Lohr– is a local Austin artist. Her passion for art and design is encompassed in every project from concept to completion. She is in charge of interior design and landscape design as part of the creative process for the company. She is able to bundle interior design, construction and art all together. As a custom builder her passion comes in handy as the completed product is a masterpiece. She assists custom clients with interior design choices and landscape design options. She is able to walk them through the process and helps them visualize their design from concept to completion and overcome challenges. Michelle majored in painting, drawing and sculpture while attending Haifa University and art has been displayed in local art galleries and her interior design has been portrayed in various magazines. Old School Builders LLC. is a general building & contracting firm, located near Austin, Texas. We specialize in custom room additions, kitchen & bath remodels, & more! 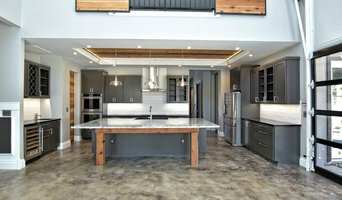 The team at Strut Design+Build, led by Austin residential construction & renovation veteran Mike Paclik, brings a discerning eye and decades of experience to your home building or remodeling project. A native Austinite, Mike is a graduate from Texas A&M University College of Architecture's Construction Science program. Mike has been building and remodeling homes in Austin since 1999 and has received numerous accolades for his design+build projects, including multiple local, regional and national awards from the Texas Association of Builders, the Home Builders Association of Greater Austin, and National Association of the Remodeling Industry. Mike founded Strut Design+Build to serve the greater Austin area by providing whole home remodeling, room additions, and new home construction that exceeds clients' expectations for build quality and aesthetics. Contact us today to discuss your goals. Silverton Custom Homes is a pioneer in the Austin, Texas luxury custom home market. With an eye for ideal home settings, they have built homes in Austin Texas' most sought after communities including Westlake, Barton Creek, Rob Roy, Lakeway, Spanish Oaks, Flintrock, Hudson Bend, Horseshoe Bay, Dripping Springs, Waterford on Lake Travis, the Northshore at the Hollows, Tierra Vista, Lago Vista & Jonestown. Mike Grimm, Silverton's seasoned founder has been in the construction industry for over 40 years. He assembled a talented team and formed Silverton Custom Homes in 1993. It didn't take long for Silverton to became one of the most distinguished custom home builders in Austin and the surrounding Texas Hill Country. In 2005, Mike was joined by his son Jason and his son-in-law Chris. Today, the Silverton team continues to create exceptional custom homes, connecting homeowners with the awesome beauty of their surroundings. With a reputation for innovative, energy efficient design and a passion for delivering a rewarding experience completely focused on you, the Silverton team helps homeowners realize and live their dream to the fullest. Lawrence Construction Company, Inc., serving the Austin area since 1996, has been a consistent provider of excellence in Fine Home Building and Remodeling for over twenty-five years. 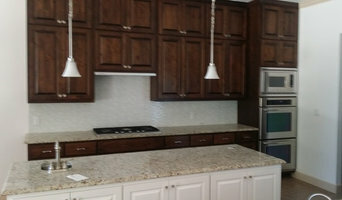 T.A.S Construction is an Austin based full service remodeling firm specializing in whole house renovations, kitchen remodels, bathroom renovations and additions. T.A.S Construction was founded in 2003 by Tonianne Soster who serves as General Contractor. A passion for the construction business, particularly in home renovations, lead Tonianne into the business during the summer of 2000. Never afraid of a challenge, Tonianne started her career purchasing older homes, most in need of extensive renovation and repair. The majority of these homes were located in the heart of inner city Austin. After a couple of years Tonianne started gaining recognition from Architects and Realtors who encouraged her to branch out and renovate homes for others. That's when Tonianne formed T.A.S Construction and started expanding her client base. Tonianne's goal is to work efficiently and effectively transforming her clients dream home into reality while using a combination of sophisticated, trendy and timeless design elements. Since most of the homes that Tonianne renovates are older homes, energy efficiency is a key component to the transformation. With a strong sense of design aesthetics and attention to detail, Tonianne takes on whole house renovations including new kitchen and bathrooms. 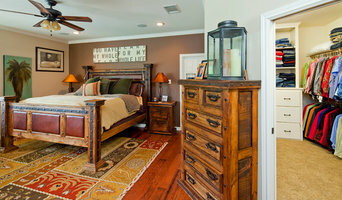 Many of Tonianne's projects also include master bedroom suites, family room and second story additions. Tonianne has over 15 years of experience dealing with all facets of the construction business. With Tonianne managing every aspect and phase of construction, she successfully completes projects within a timely fashion. Tonianne is recognized for high-end quality finish out with unique characteristics and custom finishes that exceed her clients expectations. She attributes her success to the fact that she engages in challenging projects in a field that she is incredibly passionate about... "It's not work when you love what you do". With over 12 years of prior experience working in the finance industry, Tonianne has the keen ability to effectively manage any budget. Tonianne works together with her team to complete projects on time without compromising quality or the clients budget constraints. Tonianne is proud to keep her company small so that she can personally establish close relations with her clients , whom she is available to meet with frequently. Call Tonianne today for a personal consultation. TAS Construction looks forward to making your dream home a reality. J B Hall Custom Homes understands that a home is more than just an investment. We build original, one of a kind custom homes specifically designed for each client. Georgetown's Home Remodeling Resource Since 1987! Brennan Remodeling has been in business since 1987. We specialize in comprehensive home additions and remodeling. We take care to listen to our clients and guide them every step of the process.